Sarah gained her qualification in careers guidance from Nottingham Trent University in 2004, since then she has worked on the National Careers helpline and youth connexions helpline, provided career education within a number of large secondary schools and coordinated employability modules and careers support for business undergrad students. Sarah joined City in 2006 as the Widening Participation Careers Adviser and managed City’s commitments under the government’s national Aimhigher Scheme until it was closed in 2011. During this time she coordinated a youth go-karting project with colleagues in Engineering, a youth radio project with Journalism colleagues, delivered careers information, advice and guidance to thousands of young people across East London and organised hundreds of campus events providing widening participation students with the opportunity to gain insight into higher education. In 2008 she took on the role of managing the widening participation outreach team. The team aim is to empower underrepresented learners to access and succeed in higher education. Under Sarah’s leadership, and in response to the changing landscape within HE and WP, Outreach has grown to incorporates tutoring, mentoring, masterclasses, visits, careers IAG, taster weeks and transition support, engaging with learners from primary school up to mature students. 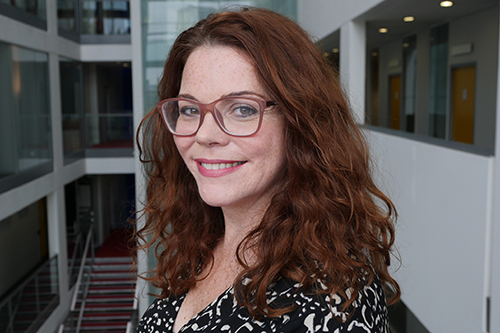 Sarah oversees City strategic approach to Outreach, how it supports successful transition into City and HE, City’s Outreach commitments in the Access and Participation Plan (OfS) and how this contributes to our full lifecycle approach to widening participation. Sarah works part time Tuesday – Thursday 8am – 4pm.